Greenleaf Lakes at Nocatee is located in the Nocatee community of Ponte Vedra Florida. With 3,000 thousand homes built and over 10,000 thousand more being built, Nocatee is the #3 fastest growing community in the United States. Nocatee is spread out over 15,000 acres, 5,000 of which are set aside for preservation and natural areas. The amenities in Nocatee are simply unparalleled in Northeast Florida. A clubhouse complete with lazy river and water park, 5,000 SqFt fitness center, tennis club and virtually every amenity that any family would desire. Residents in this area of Nocatee also enjoy the #1 rated St. John's county school district, providing families with plenty of options to get their children a top notch education. Valley Ridge Academy K-8 School opened in 2014-2015 school and is located within walking distance to Greenleaf Lakes on Greenleaf Parkway. Greenleaf Lakes at Nocatee is the third and final neighborhood built out within the Greenleaf area within Nocatee. Adjacent to the Greenleaf Lakes at Nocatee community is Greenleaf Park. This picturesque and inviting park sits on 10 acres and boasts beautiful canopy covered nature trails, sports play field, children’s playground, dog park, picnic areas, as well as a community pavilion. There are currently three different builders offering a wide variety of floor plans to suite virtually any buyers needs including: David Weekly Homes, Standard Pacific Homes and Providence Homes. Below you can view all builder floor plans as well as homes for sale in Greenleaf Lakes at Nocatee. View other new home neighborhoods in Nocatee including Coastal Oaks at Nocatee, Greenleaf Village at Nocatee, Willowcove at Nocatee, Greenleaf Lakes at Nocatee, Enclave at Nocatee Town Center, and Lakeside at Nocatee Town Center. Get a 1% cash back rebate / discount on any new construction home in Greenleaf Lakes at Nocatee, Go Here for details. 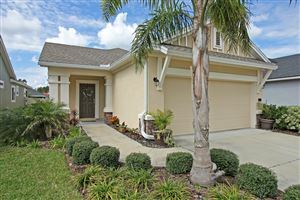 See all Greenleaf Lakes At Nocatee.